business results. awareness. social engagement. newsletter signups. 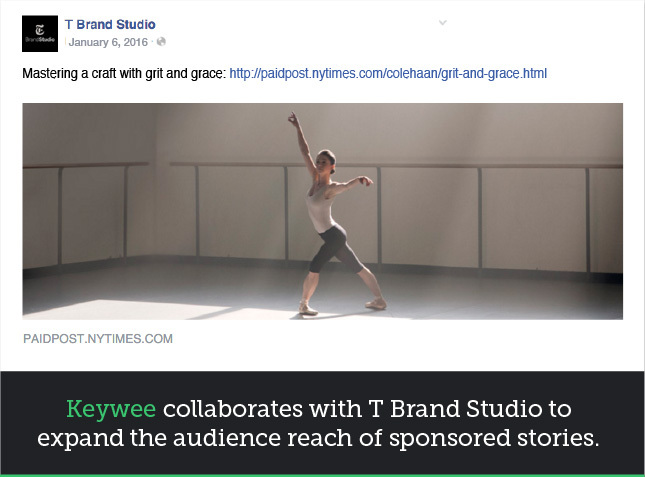 right content in front of the right people. 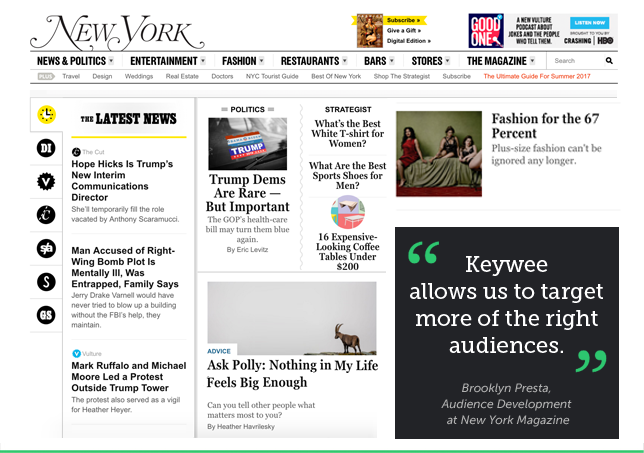 Keywee cost-effectively finds highly-targeted and interested audiences for your content. 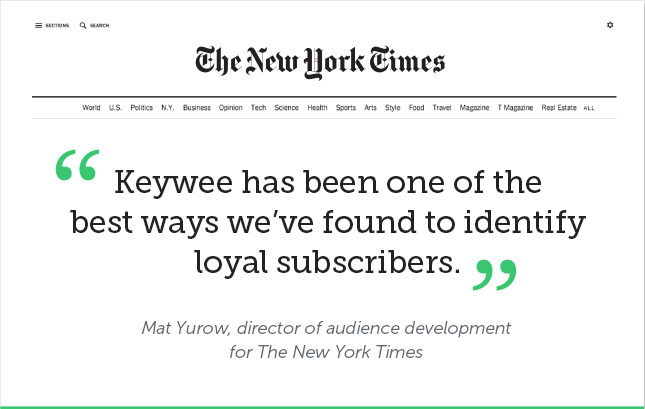 Keywee partners with you to deliver, measure and report the results your advertisers seek. 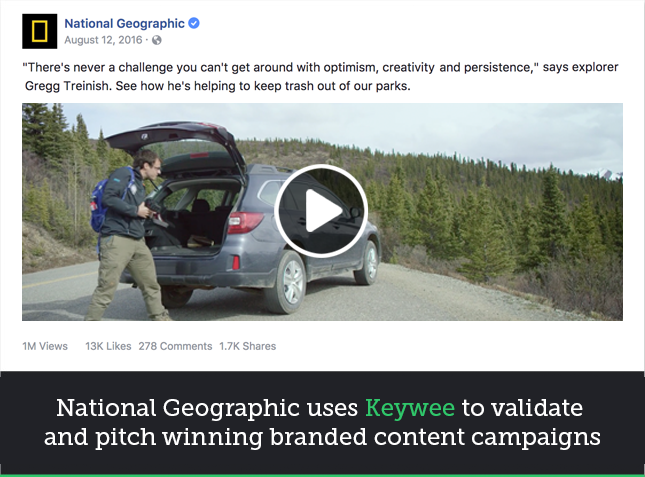 Keywee identifies the overlap in audiences between a publisher and a brand, and enables smarter content ideation and creation for that audience.